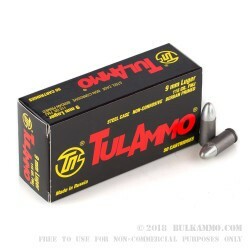 The new shiny heads on this 9mm ammo from Tula is more than a catchy sight! 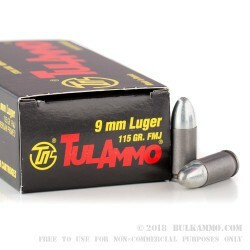 Each of these 9mm Luger cartridges bears a 115-grain FMJ bullet with a jacket made up of zinc. Tula switched to the zinc material because it is harder to put a dent in and has self-lubricating properties when it makes contact with the metal of a feed ramp. This contributes to smooth reliability as well as greater accuracy since the projectiles are more apt to maintain their curved, aerodynamic shape. 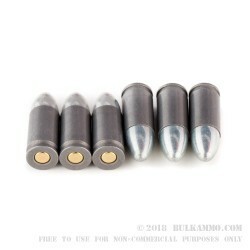 Each bullet is crimped into a non-reloadable steel casing fitted with a clean-igniting Berdan primer that won't leave behind any caustic residue. 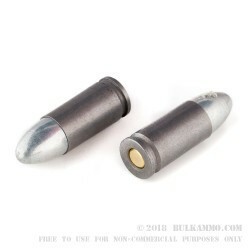 This 115-grain load is common to the 9x19mm caliber and exhibits manageable recoil and a flight trajectory that matches a vast amount of range options as well as some duty loads. 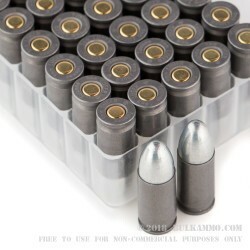 This choice in component material is based upon decades of Russian manufacturing experience and makes for steadfast ammunition that comes at a low cost. The Tula Arms Plant in Russia has been around since 1712 and uses their wealth of knowledge to ensure proper function that all shooters can afford. Since making a splash in the U.S. market, Tula has tailored their import loads to match the needs of private citizens, professional training schools, and top-tier competitors.